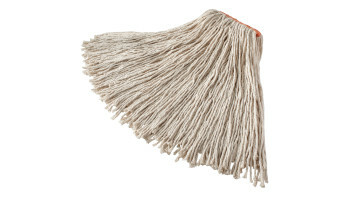 Choose the right mop for the job. 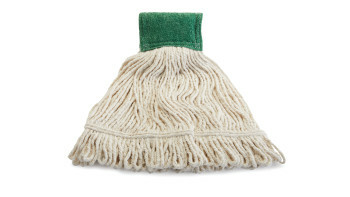 The Rubbermaid Commercial Scrubbing Wet Mop features an integrated scrubbing headband that removes stuck-on messes faster without interrupting the mopping process. 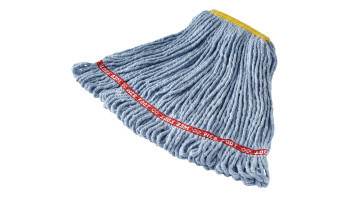 The Rubbermaid Commercial Maximizer™ Mop has a specially designed tailband which delivers 30% greater spread in use. 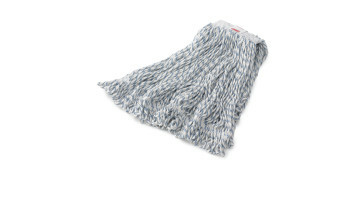 Cut-end, 4-ply cotton/rayon/synthetic yarn blend for good performance and durability. 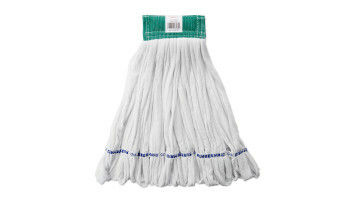 Outlasts and outperforms cotton with excellent absorbency. 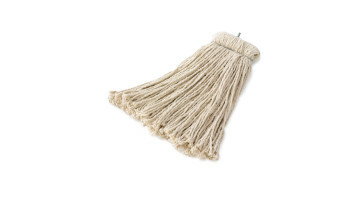 The Rubbermaid Commercial Cut End Cotton Mop is an economical choice for general purpose cleaning. 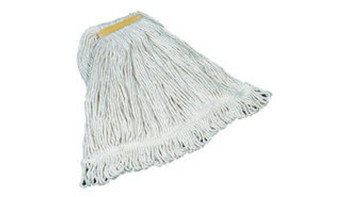 Cut-end mop with screw-on head for general-purpose mopping. 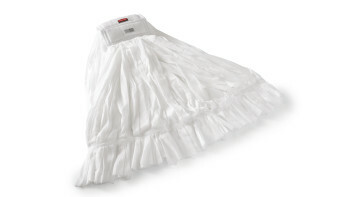 Blend of 4-ply cotton/rayon/synthetic. 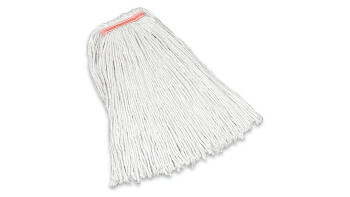 Enhanced mop-to-floor contact. 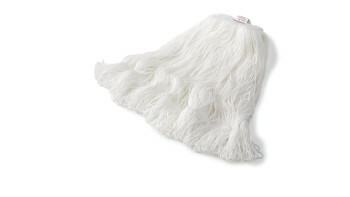 Balanced blend of cotton and synthetic yarns for absorbency and strength. 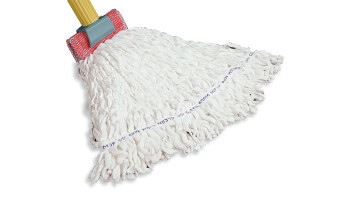 Looped ends and yarn tailband mop for greater floor coverage. 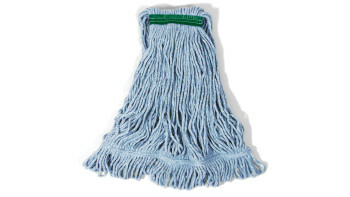 The Rubbermaid Commercial Super Stitch® Blend Mop outperforms and outlasts premium cut-end mops 2 to 1. 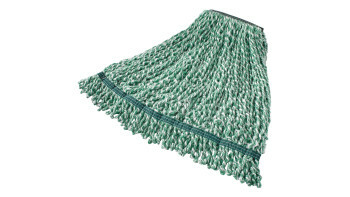 4-ply, looped-end yarn with yarn tailband for greater coverage with each stroke. 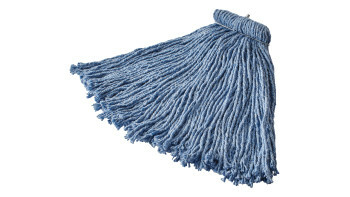 Looped ends and yarn tailband help reduce streaking. 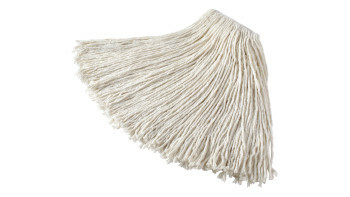 Tightly twisted, 4-ply yarn helps reduce linting. 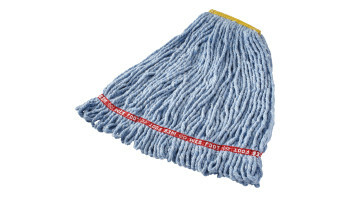 The Rubbermaid Commercial Super Stitch Finish Mop features a synthetic mesh headband that resists moisture retention so the mop can dry between uses. 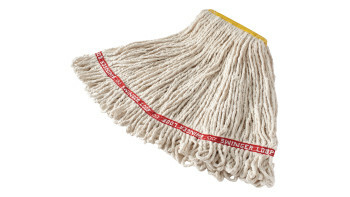 The Rubbermaid Commercial Web Foot® Microfiber Mop features continuous filament bi-component microfiber that cleans, absorbs, and releases quickly and easily. 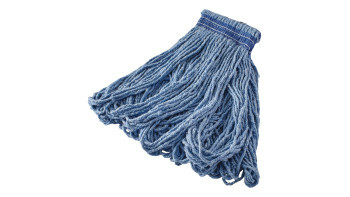 The Rubbermaid Commercial Web Foot® Wet Mops contain antimicrobial product protection, which inhibits the growth of bacteria that cause odors & stains. 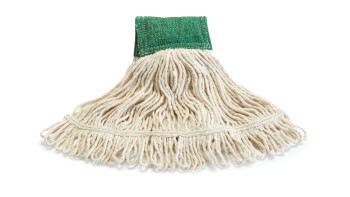 The Rubbermaid Commercial Web Foot® Finish Mop is made from four-ply, looped-end synthetic yarn that is designed for a controlled release of floor finish. 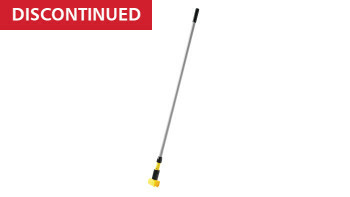 The Rubbermaid Commercial Web Foot® Microfiber Tube Mop features continuous filament bi-component microfiber that cleans, absorbs, and releases quickly and easily. 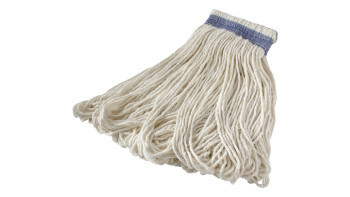 Prelaundered and preshrunk or increased mop performance after laundering. Balanced 4-ply blend of cotton and synthetic yarn for abosrbency and strength. 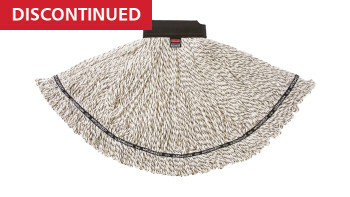 Looped-end, woven tailbanded mop provides greater floor coverage. 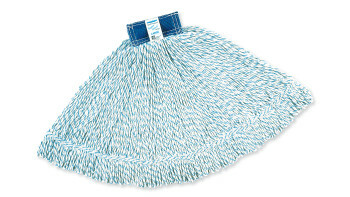 4-ply, balanced blend of cotton and synthetic yarn for absorbency and strength. 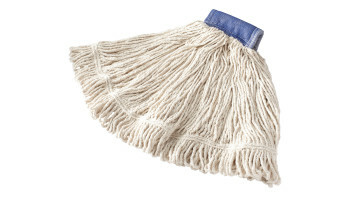 Launderable for long product life. 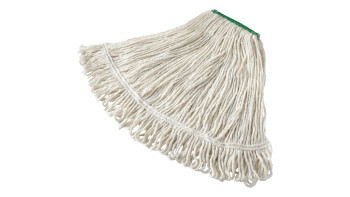 Economical, 4-ply cut-end mop for floor finish applications. Excellent absorbency and release characteristics. 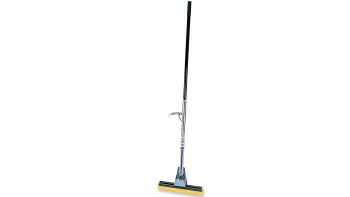 For economical floor finish applications. Recycled content: up to 75%. 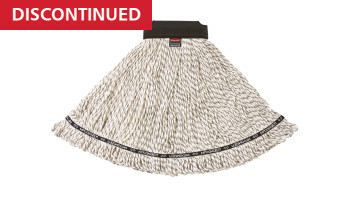 Nonlaunderable, bucket wash/wring only. 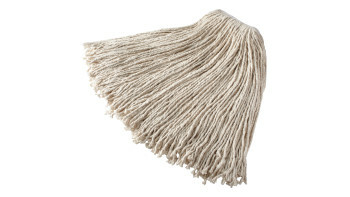 Cut-end, 4-ply synthetic yarn blend for good performance and durability. 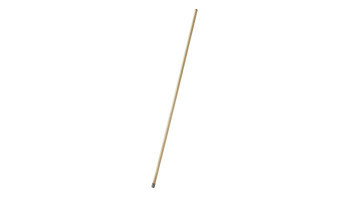 Outlasts and outperforms cotton. Excellent absorbency. Narrow and wide headbands available. 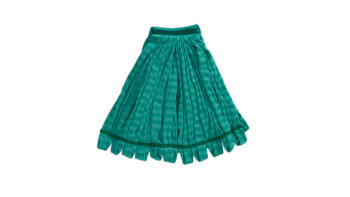 Recycled content: colors are up to 65% post-industrial cotton and 35% PET plastic. 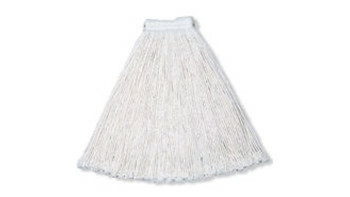 Nonlaunderable, bucket wash/wring only. 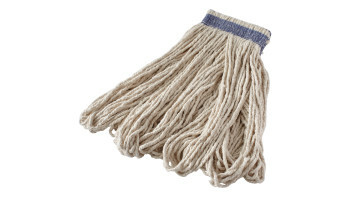 The Rubbermaid Commercial Universal Headband Mop is a cotton/synthetic yarn blend for almost twice the absorbency of cotton. Excellent, all-purpose mop for general cleaning. 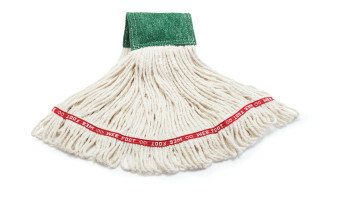 Looped ends reduce fraying associated with cut-end mops. 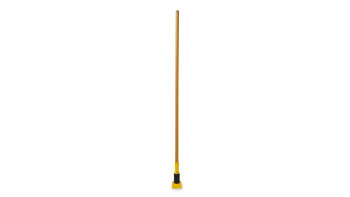 The Rubbermaid Commercial Cut End Mop is an economical, four-ply cut-end floor mop ideal for general purpose cleaning. 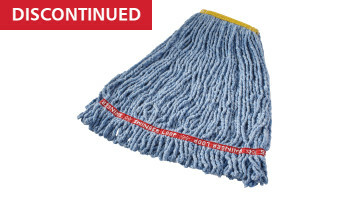 The Rubbermaid Commercial Value Pro Cut-End Wet Mop is perfect for general purpose cleaning. 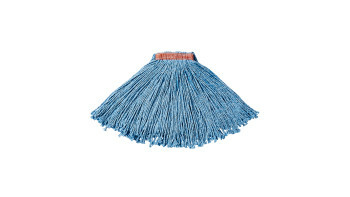 The floor mop is made from recycled cotton (up to 100% post-industrial cotton) and features a 1-inch headband. 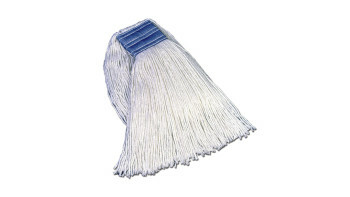 Nonlinting, continuous-filament yarn leaves an even, glossy, long-lasting finish every time. 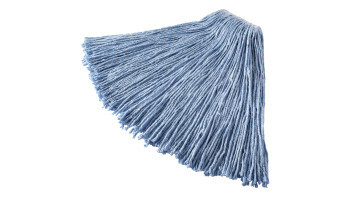 Innovative looped-end yarn cosntruction holds finish for an even efficient release. 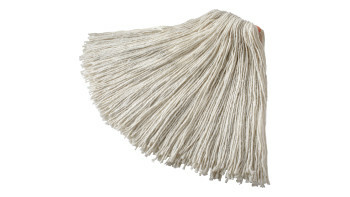 Mop glides effortlessly across floor surface. Premium launderability, up to 75 launderings. 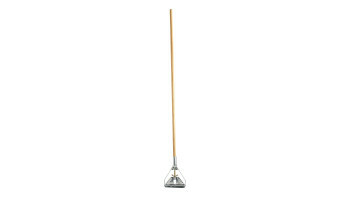 The Rubbermaid Commercial Clean Room Floor Mop has looped-end fibers that provides great floor coverage with each stroke. 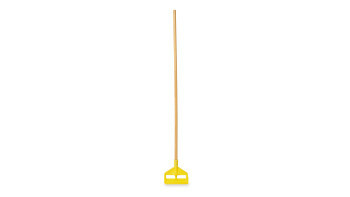 The Rubbermaid Commercial Rough-Surface Wet Mop is the economical choice for aggressive floor surfaces. 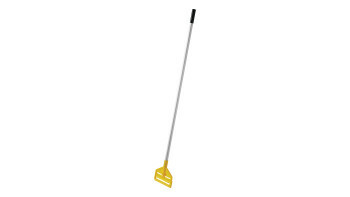 This 12" wide sponge mop features a replaceable synthetic cellulose head and a steel handle with a handle-mounted lever for squeeze-action wringing. 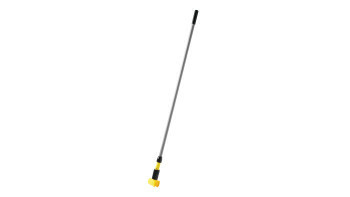 Fiberglass handle for corrosion resistance and good strength-to-weight ratio. 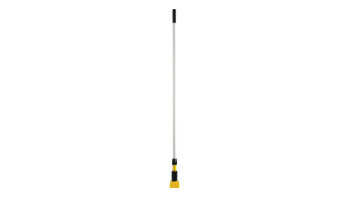 Yellow plastic side-gate connection for use with wet mops with 1-inch headbands. 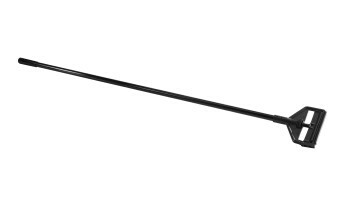 Side-gate style connection includes tightening thumb wheel for firm grip. The Rubbermaid Commercial Gripper Mop Handle makes removing and replacing floor mop heads easy and efficient. The Rubbermaid Commercial Invader® Mop Handle features a durable aluminum body with a vinyl covering for improved grip. 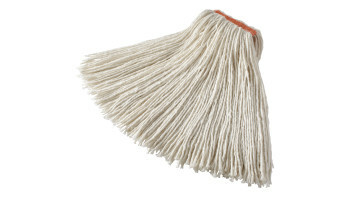 Gripper® Clamp Style Handles hold mop firmly between the jaws of the mop handle; should be used with 5" (12.7 cm) headband mops only. Unique handle grip swivels radially a full 360 degrees in either direction to help reduce wrist strain. 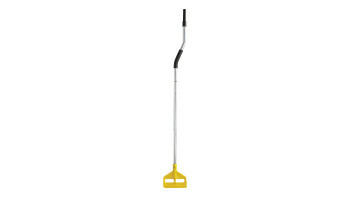 The Rubbermaid Commercial Easy Change Wet Mop Handle is sturdy and long-lasting.